I wish there was a magic answer. The plain truth is that writers write. No inspiration? No problem. Don’t feel like it? Too bad. Don’t have the time? Carve out the space on your calendar. Don’t have a goal? Make one. Be realistic, but set goals for each day, week, or month. A story or book gets written by placing one word after the other, one sentence after another, one paragraph, one scene, one chapter. One after the other. No shortcuts, no magic pill, no trick. From the internationally famous to the first-timer, we all do it the same way. Sometimes it happens in flow and the hours pass like minutes. Sometimes we just slog through our appointed writing time. Sometimes we jot sentences onto whatever is handy and stuff it into our pocket. Either way, we lay the words down, even if we struggle to get it done. That’s how writers do it. Please share your advice and encouragement for first time writers in the comments. What was your first experience like? This entry was posted in Writing Advice and tagged Reality, Robyn LaRue, Writing Advice. Bookmark the permalink. 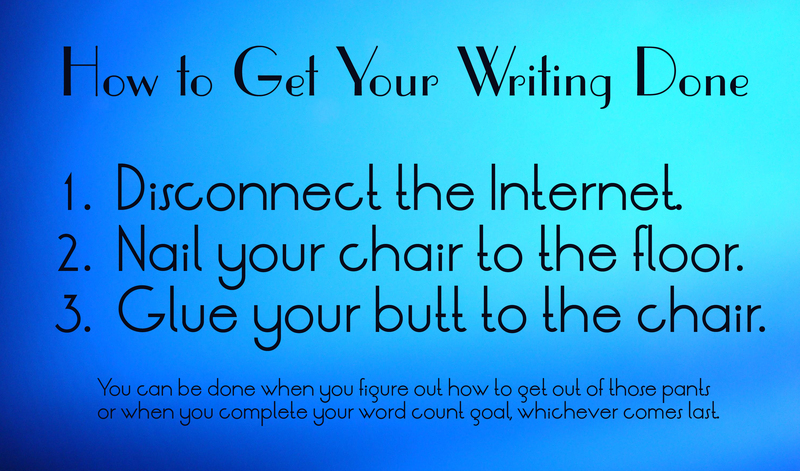 I was asked this week, “How do you find the time to write?” I’m actually going to post how I get it done to answer that question tomorrow 😉 I have the secret. It’s magic!